Research Grants - Team Nova - Children's Leukemia Research Association, Inc. The Children's Leukemia Research Association ("CLRA") is a non-profit organization founded in 1965 which has and continues to support leukemia research projects while providing patient aid to leukemia families in need. In an effort to answer this question, CLRA has commissioned a team from Nova Southeastern University, in Ft. Lauderdale, Florida to help find the answers. Significant treatment advances in leukemia treatment have been made in the last decade. However, some children with leukemia have forms of the disease which do not respond to standard chemotherapy initially, or they have a form of the disease which ultimately reoccurs. One of the challenges to the scientific community has been the inability to predict with any degree of certainty which drugs will be effective for each child with leukemia and how to tailor the treatment to achieve the best long lasting cure. 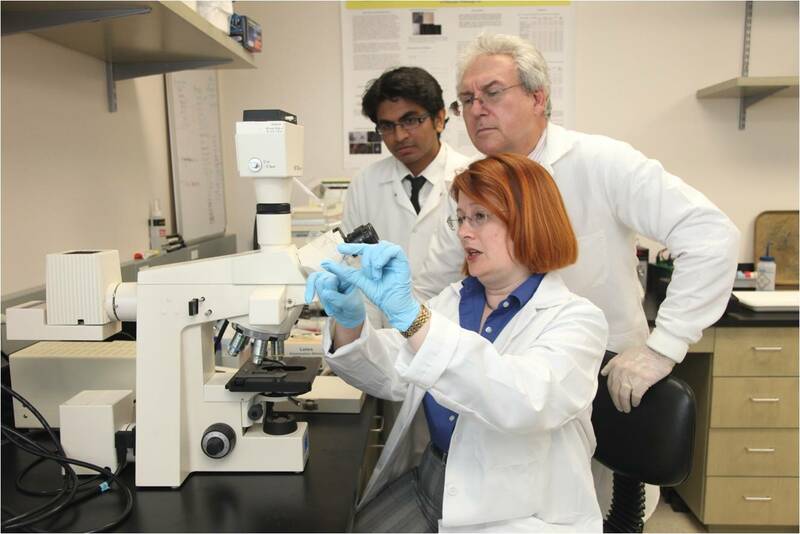 Team Nova will be headed by Jean J. Latimer, Ph.D., Associate Professor in the College of Pharmacy at NSU and senior researcher, Dr. Stephen Grant, an expert in the molecular basis of carcinogenesis and in mutational processes from human bone marrow and blood. Team Nova is developing expert collaborations with two well known scientists who work in the area of genomic instability in blood cancers both locally and nationally. When CLRA was founded, a child diagnosed with leukemia lived at best six months. Today, 46 years later, the scientific community has developed chemotherapy, bone marrow transplantations and various other treatment advances which have resulted in children remaining in remission indefinitely. However, the question remains as to why some children respond favorably to these known therapies and others do not. With CLRA's assistance, Team Nova has set its sights on answering this question. We are very excited by the possibilities!